Talking in my semi-comatose state about my fear of Elinora and I know she wants me dead. Every time, she states I should have never been born and how she wish I was dead. Each time she says this she is trying to figure out a new way to accomplish my death. Why do you feel we are going to take you some place to kill you, I told you we are going to Yellowstone Park . . . Ours is a journey to the Sacred Heart of Mother Earth, from within comes a time for learning. Hearing Glen Hunter’s muffled words, Spirit of Yellowstone instructed me to ask what and why? . . . Hunter what did you say, I am carsick with extremely loud ringing in my ears, it is making it hard hear what you said. We’re going to Yellowstone Park . . . because of the Korean War: Men/relations are or have been called to active duty, thus our businesses sold, belated honeymoons, become emergency actions, and our families required a quick operation for gathering all our relations in a rather large family reunion, just in case . . . . We are heading to a designated place designed to accommodate a rapidly growing family gathering of plains and western relations. Most relations and family members have been in receipt of dreams instructing us to gather in Yellowstone: since most plains and west coast male relations, (18 through 40 years) it now appears are or will called up to active duty. . . . How can I explain this to you so you will understand? After all of us conferred with your Grandmother M, all the family units after many conversations realized it was extremely important, to have a family reunion, before husbands, brothers and sons receive orders to ship out to war. To give . . . many families, including ours, have to move to other parts of the country . . . to give . . . peace of mind to the men in combat, for one thing, while this Military Action separate men from their families. It only an excuse, Hunter sold OUR car dealership and arranged to move us back to the land of his birth, Kentucky, where he believes his brothers will be able to watch over his farm, and us too. This man is convinced he will not return home on his feet, if he is able to return home at all. However, he will not be happy until he plants us in the middle farm country, slopping hogs, and chasing chickens. I’m a city woman not a farm drudge, if he wanted a farm slave he should have married one. If anything happens to him I will sell the farm and disappear. Elinora, you knew who and what you were marrying when you married me. Red Sun, the woman’s behavior is one of the exact reasons, among others you cannot identify or give her any reason to know you are in communications with us, no one except your Grandmother M can know. Please, try to accept it will be harmful for all if you say anything right now. In the Sacred Father Creator’s time, after we come together, we will help you understand once you have the strength to come together. Yellowstone’s summons through her song, which has become a much deeper itch, haunting the spirits, of the ones the Sacred Ones have chosen among the relations of Grandmother M, thus Yellowstone’s spirit refuses to let go . . . we searched for possibility other places, but when all is said and done, all vacation spots turned into black holes, from the oceans of San Diego, including all coastal ports in-between. Next, we searched inland from Big Bear to Yosemite then up through the Grand Tetons, our visions for our gathering hit up against brick walls: visions said life would fail if not Yellowstone and men would die. Elinora’s face continued to get redder with anger the more Glen Hunter spoke and accepted the song of Yellowstone and Mother M.
Sharp chuckle fills the car, when we observed Elinora’s facial reaction to Glen Hunter’s reason for our journey and vacation in Yellowstone. Who was with me I am not sure, yet I hear a quick laughing breeze, which causes me to chuckle, too, the minute it whips around the car. Ah, bulls – t! Yellowstone visions of cr_b, mother is filling everyone with garbage. (The hissing of venomous hate hung on every word; if she was a rattlesnake with that much venom everyone around her would be dead.) Whose visions, not mine, and why? Visions said, you don’t say. Now for some reason, all of our relations and family; suddenly seem to receive plenty of @#*%, except me, I am better than the rest of you people and I received nothing about Yellowstone, except stay away and go to Vegas. Now you tell me, if you can? What is the reason and why is it all fire important to be in a certain place of dirt? Dirt is dirt and so it shouldn’t make any difference where one sets up camp in dirt. Now Red Sun I ask you if it makes any sense for everyone to meet in Yellowstone, a place of nothing more than dirt, gas, hot waters, bugs, and wild animals, all of which is of no concern to me, you can all go to H3E double L, as far as, I am concerned. Even when we tried to speak of going any place other than . . . we all got seasickness on land. The way you’re experiencing carsickness now, Yellowstone’s attacked us; even stray thoughts away from her seem to hit us, with a strange violent sickness, which only departed once we set our sights on Yellowstone. We decided we would camp, where Grandmother M vision instructed, south of Ol’ Faithful and north of the Grand Tetons, inside Yellowstone, the only compromise allowed. Strange, too, how no one’s intuition has been able to interpret Yellowstone’s song, except to say Yellowstone’s song: Why these demands we must accommodated at some camp-p-p g-r-r-r-rounds rather than a lodge with running water and indoor plumbing? That’s why we’ll drop you off to stay with your grandmother and we’re going to stay at the lodge for our belated honeymoon. Notwithstanding, Red Sun you can ignore what she has to say, neither, Elinora’s opinion . . . nor one-single dream released anyone of us from the summons to Yellowstone. All the family relations coming here received numerous recurring Yellowstone dreams, each one challenged us to come and understand the importance of Yellowstone and no place else. Yellowstone refusal to release anyone from her influences helped us understand, she wanted us and once we declared we would answer Yellowstone’s call to come to her. Yes, she called to us through: dreams, visions, voices, and visitations, in fact, she even enhanced certain individual’s intuition abilities to make sure we listened to her. Matters not, how we tried to break Yellowstone’s haunting, mystical, control, we were under her spell, that old black magic . . . . We contacted Grandmother M, give her our dreams, and impressions, for her to translate: The Creator decrees our families gather at Yellowstone and no place else, if these visions are correct, which haunt our immortal spirits, all will live, however, if we don’t some lives will stop. That’s some joke Red Sun! . . . Who SAYS your Grandmother M’s voice must always be the final DECISION. Everyone listens to her and yet they all refuse to listen to ME, I have the same powers as your grandmother. In fact, I am more powerful, she worships God, and I worship Satan. He makes sure all of my wishes come true; truth he gives me everything I wanted. God doesn’t do much of anything for anyone. Then why are we going to Yellowstone, if he gives you everything you want, can I ask why are we going to Yellowstone and Kentucky? But only voicing: Question: When Grandmother M speaks people really listens to her words, but this you know. Truth, woman! . . . In a soft whisper, Most think you are a joke. Elinora hears the words and does a rapid backwards lunge, throwing half of her body over the front bench, and sucker punches child in the stomach, thanks goodness this child fat similar a grizzly bear cub. Something I assumed might cause problems, but truth is truth. Elinora behaved in true her form, when anyone suspects, implies, suggests, or possessed knowledge Elinora BE a liar, a con artist or calls her on her behavior, she turns into a pack of ten wolverines on attack. If around sundown or later she would fight until sunup. She enjoyed the power to continue her violence until she gets her way or injures the one who spoke honest words and truths, against her. Elinora loved to fight until sunup, however, a great deal of the times, she loved to fight so much, she would intentionally start a fight, and for many the number of entities and demons attached to her, she always fought with the strength of ten wolverines. The fight would not end until dawn, no matter how much harm or how many injuries she inflicted on others. She wanted people (women, children) and MEN to think twice about saying anything against her and God help the man and me if the man refused to sleep with her. Elinora was not beneath going after someone with a knife or cracking their head open, which made nights around our dwellings interesting, at least five nights each week. I cannot say house or home, because all the places we lived seem to undergoing continual repairs from Elinora’s violence and destruction. This time I only received a sucker punch, but wait until tonight to see what she will do to me. Elinora knock it off, Red Sun is only a child, repeating what she has heard from others, where we lived. Red Sun, don’t listen to Elinora, she’s just mad because no one gave into her opinion for our reunion in Vega, she doesn’t care who she sends to the poor house. Then ‘WE the PEOPLE,’ have learned not to dispute Grandmother M’s spoken decrees. Failure to do so is tantamount to suicide: we all have learned regrettable backlashes can and do rise up to slap those in the face who fail to listen . . . not just for a season, either, but can be for a lifetime or many seasons. Listening to Glen Hunter after the knowledge of what conditions such environments forced me to experience with Elinora’s past and present beliefs, her occult environments, and demonic persona; caused me to question other situations, her behavior invited. Tantamount to inviting chronic reversed situations, his words enlightened answers to why, to why so many problems. Sometimes, we ask questions when it is not time or we lack enough information to comprehend the reality to our questions’ answers or on the flipside we receive answers, but we lack basic knowledge to comprehend, their meaning and purpose. Still, a knowingness within my spirit realized such questions set the stage for a new wham of life challenges: a new energy are question activated and summons new journeys and adventures, while we get the impression of now is not the time but soon. Interesting how in a split-second, pieces of information give us the impression we will receive answers in time, except we will not will not receive the answer or know how or when, until the adventures and journeys unfolds before us. Mental contemplations, is flooded with sensory sensations, spirit is set adrift, but permits curiosity to remain. . . . How much, how often, and what is her involvement with those things trying to end my life, past and now, what a road trip? Mind and spirit, spins and collides with countless questions, conditions, and recurrences or many thoughts. Environment in motion, what is this new energy vortex, which embraces consciousness of child/spirit combined with Red Sun into a state of deep meditation; who is permitting strong connection with eternal spirit to Red Sun for recognition and observation to acknowledge truths from lies, while promoting child spiritual and mental development. Yes, there is always two sides to the spirit tear, which because of conditions, awaken, enlightened, and permitted Red Sun (eternal spirit), to be a very powerful mentor, in unique ways supplied both child/spirit to excel daily in mental, and universal growth. Conscious concern reflect-on various happenings and analysis what Glen Hunter referenced prior to new energies turning conscious analyses away from immediate . . . to viewing sacred life, filled with spiritual visions and telepathic communications. It takes some very powerful guardians to protect the total of Red Sun from such darkness. Honest, it must also help knowing what they know, the many plans for the journey meant Grandmother M receiving spiritual visions and inspiration, to honor the Sacred Ones desires. There comes a time is it important to block the path with spirit light and confuse and blind the enemy. We supported and directed Sacred Mother M to arrange for Red Sun to vacation with her in Yellowstone, while Glen Hunter and Elinora disappear on a three-week long belated honeymoon, before the family reunion. I just realized it is important for child/spirit/Red Sun to be alone with Grandmother M, strange but I just realized Yellowstone is a sacred land and maybe . . . just maybe. . . . He realizes the importance of silence. Afterwards (reference after the family accepted Yellowstone) . . . We (several guardians standing together) told Grandmother M (picture of Grandmother M) to talk to Glen Hunter, (picture of Glen Hunter), and insist, (picture of Elinora) Elinora spend a couple of weeks around her mother, it is important Red Sun spend time with her (guardian) Grandmother M and Elinora together. We explained the importance of/for all vacationers to include only a certain part of their vacations experiences in Yellowstone, during a certain week in your time for then we will connect and come together with everyone in Yellowstone. Sacred Truth, it is important for Grandmother M, the Sacred Ones, and one grandchild Red Sun to connect with Yellowstone. Truth, our only way to get the child/Red Sun here, and because they accept, their guardians and others Sacred Ones will do all we can to bring family members home safe from combat. Moreover Elinora is determined the three of you will spend time with a few other of her family members including your Grandfather M, who did not get the summons. [Grandmother and Grandfather M were divorced.] After Yellowstone you will spend a couple of week in and around the Fresno area, before heading east, you will have two other stops, one of, which will allows Elinora to tell family/cult members . . . SHE/we will miss you, but WE have to leave. Child, know this, you are not to go with her for any reason, even if we have to make you sick that day, you will not go. One very important message and concern all must heed . . . Red Sun remember you cannot and should not . . . for any reason . . . return to the house in Riverdale or communicate with anyone outside your family, except when you stand by your Grandmother M’s side. We have explained to Sacred Mother M it is of upmost importance for her to convince Hunter and Elinora to leave little Red Sun with her or her son and his family, or even better keep you with her while they pack up everything in Riverdale, finish closing the Chevy Dealership sale, and pay off all their debts, before they (car traveling along lines on a map) head out to Kentucky, (picture of family in Kentucky) with money in hand. It is important to get Elinora out of California and away from the Satanic Cult, she is involved in, especially, if we are to keep Red Sun alive, until Red Sun is strong enough to survive Elinora’s attacks. Critical: All things involving Red Sun/child, need cleansing, healed, awaken, and reawaken before Red Sun/child, leaves on their journey to Kentucky, it is going to be too late to get her to the Sacred Heart of Mother Earth, and in the medicine circle of Yellowstone, if you wait until she is older. This is what we showed Grandmother M and now you. You can speak with her and ask what she saw, to confirm what we say, for you know her visions prove 99.9% to 100% accurate. She is very good that way at hearing, seeing, and reading visions. Perhaps on occasion she might be off on the color of the clothes one wears or the exact minute of day and temperature, yet everything else of great importance to the message she interprets precisely. WE revealed to Grandmother M the importance of and why we are taking you into realm of absolute death and hold you on the brink for a few days to erase and remove all that, which does not belong since you, have been in much danger. Those things she heard on her bed at night were demonic tricksters of negativity and deception might take you down the wrong path. (They showed me pictures of hiding from these dark deformed animals with horns and scales trying to pull us down a very dark path.). Past and future events, in time and across space along with potential conditions have demonstrated why the Sacred Ones have decreed we must connect the earthly form child with eternal spirit Red Sun, now. In fact, there is great urgency to awaken, and join the two. It is important the two recognize together their sacredness, spiritual abilities, universal communications, connection with, and power to channel sacred messages through combined eternal oneness, Combined oneness will take each on many great journeys, even greater experiences and knowledge gained. Together the protection is strong, allowing each to experience many great adventures with your guides and all the Sacred Ones for starters. Elinora a child born of light, but taken over and possessed by a legion of demonic entities, which started when she was very young, in her early childhood she could never get enough attention, she wanted people to love her more than they loved her mother. A child deceived into believing she was the most important person in the world, which all people should bow down to and accept as their Goddess. She wanted people to see her as a Goddess, more powerful in all ways than her mother. Resentment, and jealousy, turned into deep hatred towards anyone that received her mother’s attention, or showed her mother respect. This is why you are an enemy in her eyes, because of your love and respect for your Grandmother M. It upset Elinora that her mother, your guardian, and you share a sacred spiritual love between each other, and she has taught you things she refused to teach her own daughter, but you can learn sacred truths and important insight into the differences, of light and dark, since you are not of her blood. Grandmother M born Ojibwa and raised with a German family, whose bloodline and religious believes she too discovered , had always been devote Devil Worshippers, and direct descendants, of those that created the death ovens, designed to and did end more than a million human lives . . . . Lives the Germans considered neither worthy, nor equal to them, since Germany declared they were the Superior Race and all others races inferior. In time you will witness what happen to those that do worship and walk in darkness. Elinora has been deceived into believing her mother‘s bloodline is German and her father was Cherokee. Her uncle a spy and devote Neo-Nazi Satanist, played on her jealousy and anger, inasmuch as he had unhealthy desires for Elinora, when she was a young girl of nine years. He took Elinora every place he could and invited Elinora to Neo-Nazi meetings, where they gave her even more of the attention she required, and they accepted and encouraged her violence, which inspired her to join the cult and organization. One important fact for you to remember, and the truth, behind the German uncle behavior, he possessed a strong envious craving towards Grandmother M abilities and hated her, since she was not German, but an Ojibwa woman many respected, and his dreams have always directed him in different ways to destroy your Grandmother M.
The satanic cult members hoped to influence and use Elinora against Grandmother M, knowing Grandmother M’s extensive spiritual, and medicine powers, they were hoping to take control of the Sacred Mother and her abilities, They tried often to made deals with the Sacred Mother M to get her to give them her powers and they have tried to blackmail her numerous times. One more reason uncle got Elinora involved in their Neo-Nazi Satanic Cult Movement. Elinora did not disappoint the cult. In fact, in a very short time her involvement in the Satanic Cult turned her into one who is hard to explain, in a few short paragraphs, but she earned the status Satanic High Goddess, the bride of Satan. Know this you are protected, but she killed her first born and the cult plots to turn you into the one that follow in Elinora’s footsteps, since they have been shown your future abilities, but they need to get you to develop deep hatreds, disbelieve and mistrust Grandmother M, which is the only way they can see will get you to worship Satan. For now you are semi-safe, but if Elinora is not able to accomplish both, by your tenth year, then they will allow her to the physical life of Red Sun. We have to make sure your strength and abilities are strong by then. Based on Elinora’s deep jealousy and resentment, of the strong bond and relationship between you and her mother, can spell dangerous conditions ahead. You have received strong guardianship and protection by the one who rescued child and Red Sun from many deaths. She saved you child even when not in sight, she even helped rescue you from death by train and a few other attempts made by Elinora. In fact, conditions will require her protection and healings during more than a few occasions, to come. It was and is important she hid Red Sun away from those that feared the birth of Red Sun, and the cult has received instructions to possess and turn Red Sun. In some ways you are still dealing with the same forces that challenge you and seek your death. Do you remember, even before your ability of speech? Before birth you received the gift of spiritual knowledge and recognition of sacred difference, and walk in two universes before the tear and separation, it is important you two belong together. One cannot survive without the other, for you are more than one body and one sacred eternal spirit of Red Sun, who has returned to this world for a sacred purpose: Know this you are here to help save the thousands of sacred children, in truth, many thousands of the children will be lost and thousands more perish needlessly without Red Sun. This information is to help make sure you learn, you need to understand you can gain knowledge in rather unique ways. The first time Elinora, attempted to kill you, by leaving your lifeless in the bathtub, before your second cycle, we held you and help you learn special sacred universal knowledge, until Grandmother M rescued you. Yes, it is important for you to understand, how you could be one and yet two spiritual beings together, but with the drowning a tear happened, but the biggest separation occurred on the railroad track, and then later on that night she tried to smother you, to waken you and for others to attach and worm their way in. These in addition to a few other factors makes it urgent and critical we cleanse, mend, heal, awaken, renew, and reawaken DNA, physical child with psychic physics, Intellectual/Universal/Spiritual to Quantum Physics and Eternal Being of Life and Light bringing them all together from past to present and into the future. Now do you understand you need us to mean that which has been under attack, torn, and almost completely separated, if that happens neither will survive and thousands will be lost, we must mend soon or neither will survive? If one is lost, both will die, and then many thousands will be lost and perish needlessly. It is important you and your sacred spirit remember how you shared a strong spiritual connection with valuable, sacred abilities to sense, see, hear, observe, and witness the deceptions of negative influences. Together you have the gift to a summons forth sacred awareness, and develop stronger knowingness of life and events, while you can gain and enrich knowledge of negative, dark, demonic entities; which some want to control and/or destroy while they control and possess your spirit; however, know this because of certain gifts unique . . . also means one uncommon struggle for spiritual survival. Most of the dark demonic and/or disembodied creatures’ attacks on you came from, orchestrated, and choreographed, by those who worship Satan, controlled by demonic forces, of as Elinora the demons of darkness have the ability to compel people to do things they might not do otherwise. You can find them anywhere not just involved in Satanic Cults, in reality it means, get to know the spirit-heart of, observe behavior, and know their words, in time you will understand. Secret, many of these disembodied creatures love to relive life on a more destructive level, and this they might be able to accomplish if they connect to a child , and maybe in time they can become walk-ins once they discover how they can weaken and destroy the spirit of the innocent child. The sacred spirit of a child is a hundred times stronger and wiser than most people realize. Such connections can give demons a direct line to the Sacred Ones, in a destructive way. Know anger and depression can be harmful and weaken ones defenses. Notes this journey to Yellowstone, has many purposes, including our sacred abilities and skills to cleanse, we can assist you to remove all the hatred, dissolve satanic cult influences, dislodge disembodied entities, which then allows reprograming for healthier life and spiritual development. WE then can take the negative, demonic, and disembodied away and send them to where they need to go to earn another chance to return and earn their right to transcend. If similar attempts to kill, fail to kill, they can weaken ones spirit, cause spirit-heart and other types of interference, which can cause one to accept negative subconscious programming. Thus, this among several others reasons they challenged Elinora to cause your spiritual death, too many demons, disembodied entities, and tricksters, enjoy Elinora’s drinking and sexually affairs. Some sought new bodies for walk-in dominance, one more reason. First they need to weaken before they can gain negative influences on the child’s mind, thus they can weaken more and more, in their attempts to separate a child from eternal spirit; which then gives them a pathway to get rid of or dominate the child’s soul and thus they have an opening to begin their walk-in. Sacred Truth, Elinora’s spirit is flooded with—negative energy, under dangerous psychic influences; know each entity wants to possess another’s form, they seek those with spiritual abilities, which you will in time understand. Thus in many ways and for many reasons this journey goes beyond serious or critical, it is the journey for survival by the numbers Know Yellowstone’s sacred medicine power, has moved into action to remove and discard the ones not of the Sacred Spirit of Eternal Light of Life and Love while you are on the road, and much has been happening before you arrive at your grandmother’s camp site, to block them from discovering you and they will not return with Elinora either. Sundown feels closer in the mountains and Elinora was showing signs of withdrawal, and breaking out in sweats, she no long desired but was in physical need of her liquor, which meant it had become urgent for us to stop at a hotel with a cocktail lounge or one close by one. Food was not important to Elinora, when she was in this state of mind. Hunter stopped at a hotel with a cocktail lounge, and Elinora disappeared until after she finished her second drink. Time to get dressed for dinner, but I was too sick to leave the room. They went downstairs and Hunter brought me back cheeseburger and fresh fruit. Carsickness has was one thing, but not the real reason for my intense motion sickness, this came from the vortex travel, physical body, guardian protection, keeps body functions active, but not good for supporting, the functions of walk, talk and/or eat, only for laying down in a semi-conscious state. Throughout the entire night, child consciousness, and Red Sun eternal spirit enjoyed taking journeys in the travellers’ vortex, with guardians and spiritual elders. Flight without an airplane, able to sense and communicate with life and the universe on many new and wonderful levels, while sensory abilities were able to recognize, analysis, and communicate with a beautiful and wondrous universe. Universal language, telepathic communications, and absorption of elements and environments, who can say this universe is not alive and living, need to take a sacred spiritual flight..
First, let’s travel (in your terms) among our radar alert and readiness systems, which are designed on the model of universal atmosphere, stratosphere and beyond troposphere levels of universal exosphere. Ours is a spiritual atmospheric radar awareness system with sensitive alert readers. This deals with the psychic and spiritual, physics, physical and psychological form of environments and the conditions actions, energy and thought create, in simple terms. Know this, Red Sun, afterward we will see how much you absorbed. The lower we go the more painful conditions you will be faced with, while the higher we travel the greater one gains sensory sensitivity awareness of sacred spiritual love and prayers. Throughout each atmospheric system you will experience numerous arrays of spiritual energy, engulfed in innumerable categories, sub categories, subsections, of universal events, spiritual energies, interactions and reactions. Experiences are also integrated across sublevels of energy, in addition to the various electrical fields of spiritual quantum physics, now that is something you have to experience, words cannot describe it. Each level receives . . . beautiful strong beacons, soaring its way onto the Sacred Father, when prayers and hearts are pure and unselfish. The concepts of the way conditions are layered could be hard to grasp, without experiences and interactive activities and across countless jet streams. It is important to recognize within the infinite strata grids, we have numerous arrays of categories and subcategories, what we call our universal radar systems. Each grid also has their system of alert and readiness for requires protection awareness and recovery systems and a number of other systems. Our array of systems are interactive universal, spiritual, telepathic, sensory communication systems; which reflect all emotions and conditions below, within, above and beyond-on all of earth and its variety of universal inhabitants. Yes, we do have a massive network of systems for thousands of different conditions. No the Sacred Father cannot take care of all the needs of this and other universes thus there is almost as many people working support system. There is a variety of teams, working to help the universe and people to evolve for they too are the support teams, in case of emergencies. What’s more important, is experience on this journey along the atmospheric jet stream: listen with your heart of spirit it will assist you to recognize inner-spirits, degree of faiths, strengths and hearts of people. You will be able to listen, sense and know as we journey across the lands on our world adventure, you should learn with your heart and spirit, since there are no grids or maps with lines drawn on them. Know this we hear millions upon millions of tearful prayers from those who feel hopeless despair. True this year’s prayers and pain has been louder and stronger than most years, but many not connected with the downing feel there is nothing left for them. Hear the hearts of others wondering . . . . You can tell us what you spirit senses experience. Yes, we can guarantee you will experience, what we experience. Thoughts or words are not something one can express while skimming across, around and through countless levels relating to combined components of conditions new experiences and awareness of universe life force: similar and different, layers upon layers of awareness began to give life new dimensions. One can only experience, observe, absorb during the course of one’s conscious and subconscious, sacred spirit eternal is interactive within the different layers of the radar systems. At first it was gentle then came the sensation of one big continual wild ride, an adrenaline junkie=s greatest high and worse nightmare, all rolled up into one. Holding on to Christmas Angel with both hands, when without warning journey changed to violent energy only to experience spirit-life support disappear, only to turn unexpected flight into what I can classify in my terms horror: the worse extreme free fall, ever. The moments before an airplane crashes, and causing one to have boundless doubts of survival, filling me with one major question why did I agreed to this experience for knowledge. Next thought is the only actual answer to my question: I am here and there is no turning back. What type of an adventure is this . . . Why so many highs, lows, rapid energy spikes, then smooth for a blink, with a violent turbulence, micro blasts, into tornadic storms, and areas one could classify a Category 5 hurricane, with the power to tear everything inside it apart. Without warning one is slammed into areas void of life, or major areas of loss or serious pain filled with rapid deep depressions? The roughest of rough flights were filled with challenges and changes in nanoseconds: smooth, calm, vacant, or sudden jumps tearing one apart inside. Explosive rapid hair raising drops, assorted with an occasional area of extreme highs. Hard to predict what might come next, no warning of what shift next, up spikes, down spikes, or painful spikes. The only thing intelligent I decided, after the violents in the system, prepare for the varying stages of storms, since it is possible to tear apart, (if not prepared), ones spirit and universe: pitching eternal spirits into major whirlpools, and what about those rapid vacuum powered free fall. In all honesty, the rough and terrible flights, could tear any physical vessel of any material form apart in a few seconds, what can happen to spirits of these that caused the conditions . . . I acknowledge this adventures of . . . has created a new awareness filling this Spirit with a unique style of spiritual airsickness, which until now I never assumed possible? Woman, you’ll get over the spirit sickness soon. “What you’re experiencing are transmissions of energy patterns: individual to numerous spirits from all life forces. The differences are expression of spirit-thought/energy language transmitted by life energy and thought-forms of spirit energy: each one expresses conditions and in this section you received life lessons and experiences in relationship to mental-emotional languages people transmit of highs, lows, spikes, turbulence, storms and depressions. The inner-psychosomatic and emotional patterns of all life forms on earth influence and generate interactive jet streams of spirit energy. Yet, know we are able to sense individual within groups; each and every life transmits its personal energy code. Let’s travel, now, there is more for you experience. Sorry I asked . . . What a time to learn the universe by dealing with so many personalities, energies, influences, and how each can influence so much in so many different ways. The next whatever amount of space/spiritual radar awareness alert system experiences proved more extreme, with countless wild rides, slipping in and out of untold universes folding across space/time, each fold demonstrated more incredible journeys. Sensations of weightlessness, pulling, pushing and knocking conditions, over the edge of cliffs into rapid waters and over the falls, it takes a lot of practice to keep focused while racing to those in need. Join four of the worlds, most violent and exciting rollercoasters, and go for concurrent rides, inside a tornado of adventures, swift, rapid, highs, lows, rapid drops, upside-down, turning back on conditions and facing one’s own persona, while under rapid fire. Splits in universe and see ones other self sometimes too, since we are resolving similar conditions. Whoa! Sacred Angel and SunHawk, who or whom have I angered? The next series of unexpected flights continued to get wilder and faster. What a difference from what one assumes, the sacred universe is and what it is. Energies of universal physics filled with spiritual experiences are impossible to imagine if one never witnessed or experienced it. These rapid changes are similar to evaluating survival chances in a private space station, tumbling through outer space, trying to dodge space debris attacks, in asteroid fields which continually change universe’s fields of physics at increasingly unusual and alarming rates. Not even the best of a thousand psychics can predict upcoming events with more than thirty-percent accurate, in this environment. Tell me whom or who have I angered? What a bad case of space sickness, it almost tore me apart. I have never experienced a migraine this extreme. Soft chuckles coming from SunHawk and the Sacred Angel whom I sensed was far beyond being Santa Clause or Christmas Angel. However, it became obvious why the Golden Choir of Sacred Angels are not allowed in this section of the universe. and it connective languages across countless universal surveillance and readiness systems. one in the same and not one in the same. This universal knowledge is one of our sacred gifts to you and your objectives. and requirements for the various types of guidance and protection, awareness of life and age levels set up a number of conditions with each system. During this portion of the journey, among varying levels of the Sacred Father’s radar awareness system we will make the equivalent of four-north/south and four-east/west trips around the world. This should provide you time to digest sensations and observe a wide range of energy patterns. Each element has its own layer among our countless universal levels, in this way we are forewarned about Earth Mothers pain and actions. We can see the areas which need emergency help, areas void of energy for a vast number of reasons. various combinations of psychic and spiritual energy patterns. The combination of or lack of energy fluctuation are what can create and/or activate these individual highs, lows, spikes, turbulence, storms of varying degrees in addition these roller coaster rides and strange valleys. Most vacuum areas are areas caused by extreme depression, personal loss of one of more family members, pet or friends. On the other end of the spectrum one experiences and recognizes strong lack of caring, subjugation, cruelty, and/or repressive conditions are just a few of the causes. We also experience vacuums when one surrenders to darkness. Prolong influence by darkness or evil can in varying degrees influence many in a negative manner; which mislead those who surrender or waver in faith. The tricksters move slowly, whisper in the ears in ways they have learned to twist those they want to mislead, watch for the emotions and thoughts others twist and change, until they follow the will of the tricksters and dark one, if/and when allowed to spread. The tricksters do use ones religion and faith by distortion of facts. IF one is not observant it tricks and distorts emotions, which is how it gains power, and influence over a few family members and/or entire families; which then begins to impact businesses. Once the tricksters have given darkness a foothold, it rapidly gains more influence and more people. Those dealing with the businesses can be confused and soon twisted to follow the darkness, too. Wherever, darkness can deceive, it can grow and twist individual communities. Then several communities are affected, and for those with pure hearts, it becomes painful to realize, this can happen to them, too. Learn to understand and know the hearts, minds and spirit of people and communities that accept the darkness. darkness wants; which soon leads many more blindly into darkness, too. All things within, on and above Earth Mother contain substance governed by the physics of psychic sensory energy patterns; it is important to understand various part of this radar awareness system. When life flows in a good way, the radar awareness system flows in harmony with a symphony of harmonic lights and sounds: except during points of imbalance the radar system activates and alerts us. Through these networks we have the ability to connect with and attune to all things, even the laughter of children and a single parent’s love. intervention, are governed by the watchers guardians we react to the events or stay on alert. They are knowledgeable of vast array of conditions, the complete spectrum of colorations and harmonics, which are important to read, also. Some of these situations and circumstances you will soon experience all a range of combinations. Within our systems we have a multitude of different guardians, guides, protectors, as well as, Angels with various backgrounds, knowledge, skills and knowingness. For newcomers, it’s hard to see just how we translate what we see in different movements. However, for us on this side, it provides insight to the requirements each separate event can create. One accident can produce any number of needs and situations, which we need to recognize, in a blink. We have to know exactly what we are heading into. Remember, the time when you were driving the long black stretch limo, with fifteen children in it? Your case was one of those times when you listened to your guardian and your prayers had us on the alert, which is why you had no accident and have all the required energies and Angels were in place. Yes, we did transport you through space time, something on the order you are traveling now and the way Saints and Santa travels, folding space and jumping through time. However, there are those whose refuse to listen or take precautions. That accident could have been different if you had refused to listen and not prayed for strong protection. It would have been a loss of many life flames, both directly and indirectly, as the injuries to the physical forms would have been the type where the children and your and physical forms couldn’t complete objectives, and sustain spirit-forms. The physical injuries would have been to the point not one could fulfill ones directives which is automatically gives spirit directive to cross. Our job is to make sure it is the right decision: If circumstances fit the criteria prior to time, the job requires the guardian to do everything possible to make the journey comfortable during the crossing, or if possible jump back in space time to move a person or persons to a safer position, if their directives are of prime importance. Know this, all life forms, at some point along their journey: want to give up when their time isn’t calling. It becomes our job to provide support and encouragement, when they are at such a low. Other times to do this we do have to provide in-depth healing, which you too have experienced and witnessed at hour eleven and fifty-two plus minutes. But the bottom line requires we wait for directive. Yes, I know I have been there and have come across many times and have someone sent to pull me back from the edge or keep me from going over the edge. Wish we were, but we’re not one-hundred percent perfect, which means there are times we can’t pinpoint the exact area or time of a violent eruption, we just know it is going to happen but not when, until the day or hour of . . . in certain circumstances. Yet, we’ve been blindsided, too, considering Evil’s darkest of conditions and plots can be hidden from our radar awareness alert system. However, we do have another system; which is always on the alert trying to watch for Evil’s deceptions, and designs to attack. pinpoint events underway. No matter how hard we try, we can’t protect our Sacred Father’s children or keep them out of harm’s way, as we would like to, because of freewill lessons, which is another reason prayers are important. Family violence, which was one of the events you experienced growing-up, is one of the hardest to detect and/or head off. People become unresponsive to the conditions and shutdown, spirit becomes void of one’s spiritual flame when they have given into or acceptance of violence. They too, grow numb, void of emotions, life force energy, spiritual physics, and so they fall off the radar, and because of freewill we cannot act without a prayer. We send intervention teams, when we can, and when one prayer is spoken. All too often spirit of abused children and family members vanquish into a world of self-doubt. Spirits are there, but spirits neither react to nor answer to, any outside stimuli. Somewhere in the middle of family abuse, one soon believes family and self are unworthy of respect or love. They accept all abuse put upon them, they are tricked by the whispers of deceit and darkness. Know too, these are the ones who feel shame and quickly hide their spirit from the Sacred Father, et al, including friends, guardians and self: under a blanket they hid spirit’s sacred inner-light of love, and hope, and then they deny their spirit-heart and life force energies. Family abuse cases are in a different section, once we can identify the conditions. In a lot of cases we must accept relocations of souls off these radar awareness systems, when they surrender their souls to hopelessness and darkness drags them into despair. Sacred Father’s Law states: We must wait for them to choose to reconnect, through some form of sincere prayer or conversation. Then we can work with them again. Now that you have noticed energy patterns, it is time for you to become one with the network to experience the changeable array of emotional patterns, let’s take another journey for a ways. SunHawk, will you embrace and blanket Red Sun with me. Yes, Sacred Angel of Enlightenment, Light and Spiritual Life, the truth of the Christmas Angel . . . Red Sun. Woman, now that you have noticed and gained a little insight into energy patterns the next step is for you to gain some insight into varying degrees of emotional patterns and its overall effects. Red Sun, this journey requires our coming together, it can assist in attuning you to experiences, so you can feel, listen and see as we do. The three of us will need to join for a time. Pay attention there will be a quiz later. Okay, the truth is we ask, you answer if you haven’t gained the wisdom: we travel a little more than ask again and you answer, if you still lack insight, then we’ll answer, or fill in with more experiences if there is something you weren’t able to comprehend or missed and answer. Whose idea was this yours? We’ll take another journey along the jet stream for a time in silence experiencing life with senses beyond sensory perceptions: Insight awakens heart, mind, visual sensory abilities in addition to seeing on occasions: brilliant white lights or the purest of individual rainbow style color combined with soft harmonic sound energy, radiating spectrums of countless patterns. Then there are a variety of distortions mixed with dark areas or clouded energy to the spectrum of colors, individualized sounds and/or combined variations of deceptive energies creating strange confused colorations of harmonics/vibrations. All colorations and harmonics appear more extreme when either disrupted by or challenged by cloudy conditions within indiscernible ranges of pure energy/color spectrum conditions. The contrasts appear more visible within the radar awareness and alert systems. Don’t get too close to those slimy black-green in appearance energy patterns because they are almost pure black-evil serpents. Then there are thoughts and feelings expressed which fail to created or change waves in the thought-form patterns. There are prayers which we do not acted upon when perceived selfish and/or destructive. Or the prayers with a bounce, designed to teach the selfish prayer of an unworthy prayer caster a few hard lessons. Most selfish, greedy prays and/or cruel, injurious prayers are not acted upon. Then certain prayers should not be answered, if one wants happiness in one’s life: Self-righteous prayers, prayers offered in love and compassion, we honor. However, stealing or injurious prayers appear as black-green slim these are turned over to the hard lesson givers, depending on the degree of harm ones prays, could cause. Some day you will learn what happens to those who control and use death prayers. One touch by the Sacred Angel and flight stabilizes, the spinning stops and conscious spiritual awareness takes hold. Sacred Angel communication forms change to a form of very rapid expression, filled with rapid real time photographic and holographic energies, changing all forms of verbal/telepathic to photographic/telepathic/reflections filled with holographic energies and expressions of spiritual truths and energies. It seems like they took me on another several hours adventure in and throughout one more unique journey to teach spiritual awareness and increase knowledge. It is a good things this adventure I was able to ride between the two of these guardian teachers. Each ride got more and more active and a great many challenges and experiences, to become aware of and understand. Catch me I’m falling . . . parasailing across the sky in rough weather, one separates into three separate beings, in mid-flight and what is easy? Here we go, Red Sun! Release your illogical fear, know this you allowed to overcome your rationalization for a moment. Now, can you describe what you were observing and/or perceiving? subconscious communications, sacred spiritual/universal enlightenment; which has given me the gift to obtain knowledge. You have taught me embrace the true spirit of universal quantum physics and awareness of spiritual physics layers of energy, even though for decades I have experienced its gifts I always called miracles. Spirit-heart of all life energies and entities across the universe, spirit prays with an array of energies, lights, colors, and visual expressions, and with the same universal language. Sacred voices within spirit-heart and/or spirit form calls out essentially for the similar reasons/conditions only picture, thought-forms and visuals are a little differently depending on background. Then you can feel the energy carrying one to the areas of prayers and blessings, even colors and sounds speaks for what people need and seek. The flow breaks down to various needs of support, help and guidance. Highs: lovers in love, marriage, mother’s love and family love, life renewing itself by the birth of a child, spirit speaking and giving of energy, we perceive within a full range of harmonious sounds combined with a full spectrum of sacred universal colors. The various arrays of colors, sounds and energies, help us to know who with what background to send in order to help and guide those in need. Spikes they hurt, similar to sudden to lack of faith in prayers of lack of respect for life. It feels similar to a shape spear, pushing down or driving one up in the air with a painful pitch fork of extreme emotions and energy. Spikes are either strong anger, or connected to fear caused by sudden activities of danger/dangerous environments of violence, including auto accidents. Mild rollercoaster ride: people in varying stages of turmoil, what I heard some seemed to be unsure of self, others fearful of what tomorrow or the next hour might bring. The breathless highs from excitement, a realization of spiritual love, hearts filled with compassion and concern for others outside of self, lack of fear by accepting and living life with a knowingness, in a good way daily, unconditional spiritual love. The mild lows are time of uncertainly and heartaches of parents. spirit and body are extinguished or unexpectedly separated. The moment when the inner spirit becomes suppressed by overwhelming fear, then convinced its time has arrived to separate from itself or burn out (nothing left in life to live for syndrome) violence and fear can cause certain personages to go numb. During major disasters we try to make sure those whose time has arrived or whom we can’t save from crossing separate quickly. Nor do we make judgments as to who should or shouldn’t be saved, unless we are directed otherwise. Yes, some do cross because of unexpected events. Truth, of life style conditions, most individual spirits are driven by desire, hope, faith, love, compassion, will and/or determination. When one gives up, they are in affect willing death to take them and/or directing the flame of life to stop: At this point most spirits confusion and fear automatically shut us out, too. When he/she shut us out, in a sense he/she is dead within and lost, since they can no long see, hear, or feel his/her sacred oneness with the Sacred Light of Life, The Sacred Oneness with The Sacred Father and Mother of Eternal Light of life Enlightenment. One losses contact and connection with his/her guardians, as well. Flowing uplifting gentle highs, one can associate with lovers in love, mother’s love, family love, life renewing itself and/or birth of a child, true honest sacred love, are a few of the sacred enlightenment of gentle highs. They are highs that remain on a level of sacred enlightenment and can carry one higher. Gentle hearts filled with unconditional love are neither selfish nor judgmental when they pray for others. A blessed gift, given in combination with many unselfish hearts or individual hearts filled with unselfish prayers is the greatest gift a giver can give combination with unconditional love. Love combined with one’s deep personal knowingness, has a wonderful spiritual power and influence, when enough sincere unselfish prayers join together—sacred life of spirit will awaken and help with development and improvements of life. emotions of highs and lows. next hour or next day. Red Sun why do you seem to overreact, each time certain bright lights shot higher, than our radar system, into the sacred universe. What about those bright laser style beacons of lights . . . that shot higher and brighter than any shooting star, with the power of a super laser. Where are they heading to and why are they shooting high above us? Yes, only the language of the spirit is the one true language. The bright beacons of lights are unselfish pure prayers: from those you call gentle hearts these prayers travel to the High Council of Elders. Once they reach the council of elders, they review them and decided what needs to be done to honor the prayers at their council meetings, and then pass their information and opinions onto the Sacred Father, for his conclusion. Different colors, denotes the different psychological and spiritual state of those praying plus provides a series of clues to what is needed. Sometimes when one prays for another their prayers are in some ways selfish, poorly put together, which in most cases are extremely destructive. Truth is, if we were to answer these prayers as transmitted there could cause and pull disaster down not only their heads, but the heads of relations, families extended families, and the ones they are praying for. These clouded prayers, contains a mixture of dark impure colorations within our radar systems. The ones you see of pure colors or spectrum of colors are great prayers, which have nothing to do with ones-selfish ideas or personal gain. In a lot of cases, these prayers have the power of love and healing within them, to help those they are praying for and seeking sacred blessings. evil could use it against humanity. Red Sun can you look back on some are of this journey and tell me what you can and how you interpreted the event. The first system: I interpreted as critical to violent stormy turbulence seen to relate to large areas: villages and/or communities going through heavy periods of earthquakes of war, violence, massive corruption, repression, conquest, cruelty, hostilities or fears of death: all of which have long reaching arms, which cast long shadows. This, which I am referring to, doesn’t appear as conditions created by Earth Our Sacred Mother, but rather by people. The second system: Major turbulence rapid plus/minus energy fluctuations and transmissions: villages and/or communities going through major periods of violence, drugs gangs, street violence all of which cause injuries and death. One could also sense areas escape which is filled with emptiness, alcoholism, sorrow and/or repression on large scales. Truth, some of these areas were easy are easy SunHawk and I to comprehend, considering such areas related to knowledge of these oppressive conditions due to family environments, awareness and experiences, working to help those in need. The third system: Plus/minus recognition erratic energy fluctuations and transmissions: pain, depression caused by any number of things from loss, hunger, fear, self-doubt, hate, anger, illness, and cruelty, which leads to artificial reasons for despair, deprecation and abandonment of self and life. All of us have been there as one time or another, but not all who have experiences the pain continues to live there. These conditions suggest problems originate from evil or dark dominating forces including misuse of power. The way I have been trained, those who are leaders must put the wellbeing of his/her people first, not ones desires, first, which is the problem that brings suffering of his/her peoples. The worse form of darkness is one that create combatants killing each other for reasons that are centuries old. Interesting how certain areas feel . . . the quickest way to explain is the area of the Green and Red Serpents of Evil have taken over? Why so many with thoughts of lust and greed. I have always been taught one in the position of authority has duty and responsibility to the people? The truth of reality, it is not a position of power or prestige, but so many see these positions begin to take one the appearance of the leaders goldmines for power, their openings to personal wealth, and prestige. areas where one person or several people have either given up or are giving up? Red Sun you already know Archangel Michael summonsed his son, SunHawk home. For some time now and Michael and Gabriel have been summonsing their sacred warriors from all tribes around the world home to do battle with this war between Heaven’s children and the Devil’s disciples and worshippers . . . . Yes, we were in the spiritual warrior sections, which deal with a wide range of violence and deceptions. Sacred Angel, until this moment I never realized, ones spirit could weep full out, but for some reason mine can’t stop. Yet, beyond question I realize ones spirit is eternal. Ones physical is not immortal, only here for a short time. This spirit even realizes this was and is a very important wake-up call. Still the pain comes. The Sacred Father and all his staff, have a lot to deal with. Considering, some are so filled with hate caused by lies they no longer, can see or accept any form of truth. Embedded programming passed down through time, is not always the truth either. Nor are the lies many claim to be the words and decrees of Our Sacred Father, so. Just because for several generations: words claimed to be truths don’t make them truths. Remember, many will believe lies and half-truths faster than truths. Others translate the word of the Sacred Father to suit their purpose, even if they have to rewrite the words of the text to give them power to fulfill their dark purpose or plans, in the name of the what every deity. demonic darkness, death and deception. Thanks, this of which you speak, proved to me a group of hard lessons to learn over the last couple of decades, what you are referring to was a great teacher but a hazardous journey I travelled, to learn the lessons and gain knowledge of these personalities since they seem to be showing up more and more. Yes, I realize these were very important group of lessons, in reference to their accompanying families, came from the Sacred Father instruction for this Red Sun to learn. Lessons which were not easy and they went down painful roots, of life to gain wisdom, if what I perceived is correct? demonic slaves on/against humanity down through the ages. . . . What else did you experience mother, allow your true eternal spiritual essence to awaken? Okay so I have been holding back. The confusion of lose, death and the what ifs, from the countless combatants on all sides of each battle fields, all are distressed since they are at the whims of their leaders and/or demonic destroyers. Back to the turbulence and conditions within these storms: indicate events, which if not stabilized, will lead to injuries, death and/or mass devastation. Recognizing, this all inclusive system means all nations, tribes and life forms are within watchful eyes of protection and guidance. There is no discrimination between the sacred children of the world, for here we are one nation of children. We are all part of the Sacred Circle of Light and Life Eternal. From here we are again of one sacred universe, all are children of one spirit the Sacred Father and Mother, and from within this system we can watch over all. For one who harms the lesser of the creatures are also judged accordingly, this includes animal abusers, those who abuse and disrespect the land and all the children upon it. So many, turbulence reflects massive, worldwide environments from discriminating to illusive lifestyles and unstable conditions. Turbulence only, minus spikes, one of a thousand forms leading to an inception of engagement. Within some of the stormier areas we experienced areas of sudden drops, this suggests the time of crossing for one or more life forms/energies, within the midst of violence activities and people losing faith. The size and ripples within the mass, is another indication of the numbers required from this side. Now this spirit called Red Sun understands a whole dictionary of terms, actions, events and knowledge in this realm, is neither understood, translated, known, nor can be explained in any language of any cultures in the physical universe. If my assignment was here, it would take me awhile getting use to these various radar awareness and alert systems, again. However, I did notice one encouraging concept that should be in the physical realm: devoid of race, culture, religion, nationality, color, and gender based. Yet, here the angels, guardians and support teams are off to the areas, to care for those in need, and the only questions asked, age, conditions, their assignment, and section of what territory are the only questions, which is more of directional codes than anything else. One can see the spirit of light and color from many of these who call out, in their moment of need. had returned to help awaken and teach the people in the traditional ways. Bring the past to the present and teach the people the sacred truths and how to life in a sacred ways. Now spikes, what are some of the things you equate with them? We will speak of the rest later. Spikes in areas of gang violence and tribal warfare: relate to reactionary fear, quick prayer power. Reactionary fear caused by a sudden onset of perceived dangers through some form of intense events or surprises. Events that equate to the possibility of injury or claiming of life (lives), people in varying stages of turmoil or jeopardy. Within the various turbulences rapid sharp shock spikes transmit signals of general expectation of life in imperil. Energy patterns appear to be slightly different than sharp reactionary spikes of surprise. Question for whoever wants to answer, what about the areas of dips and drops, lack of energy or air to keep one afloat, where do they fit in? The areas in which you’re referring to, feels vacated by energy currents to keep life afloat, is an area where one or more eternal spirits are transcending. Then it is time to open individual records and determine what actions need to be taken from force their return, miracle healing, force survival or permit crossing. Yet, these conditions you are already know of and some of the environments. Areas of mild drops: where one or more are contemplating to let go of their desire to live. Yes it might be hard to tell the difference, without training. Some give the appearance of reactionary fear in turbulence followed by low areas, roller coaster dips and drops, indicate where and the type of event wherein lay personal concerns of pain, injury or sadness is expressed. Some people will spike and dip then level out, but it doesn’t mean the conditions are not serious. Tornado and hurricane elements equate, worsening negative conditions, a time when every fiber of all involved is challenged. The courage one has to draw on in the middle of a tornado or hurricane. These are the same conditions before, during, and following strong gunfire, when emotions run wild. All out confusion in the radar awareness alert system, dealing with challenges and changes of environment via violence by the seconds. Strange mixture of patterns, are easier to relate and comprehend when one relates to then as weather conditions: which suggest turmoil, violence and terrorism in so many areas, its mind boggling? Nevertheless, when ones figuratively remove earth bonds: One view conditions from within this radar awareness and alert systems it’s easier to grasp the needs and universal situations, worldwide. Yet, when one isn’t aware of these alert systems, it’s hard to realize the wide range of situations and needs. Red Sun it’s time we to remove your narrow vision blinders you have been wearing on this journey, to give you the ability to expand your visual perceptions abilities across these vast systems surrounding your world. Tell us what you see? We traveled through various radar systems to enhance, enrich and awaken awareness, increase knowledge and comprehension, too. Mass energies of life, light, color and sound, and the unique range of emotions and much, to experience: even though humans seem to think they live life dealing with five senses, this is not truth, physical and eternal spirit is much more complicated with at least twenty to twenty-five and with so much so hard to put into words. interact with the systems in the same conditions we did when we were a novice. Listen to the energy of thought forms how many transmit them then listen with your spirit-heart how we receive these transmission from all forms of life and the psychic energy transmissions by all. Several decades later, it’s still incredible . . . how Yellowstone the Sacred Heart of Mother Earth and Yellowstone National Park became an awkening, to the most sacred and powerful Autocatalysis Spirit and Energy; which can influence certain varied personas, individuals, and friends, or certain family members, in addition to certain ones who work in or around her. Strange how five people can walk together in Yellowstone, and only one will she embrace, leaving most blind to and with no comprehension of what life changing adventures, others experience or are experiencing. Only after such an embrace, living through unique adventures and spiritual journeys with Yellowstone’s help, can we realize the reasons and truth of her sacred embrace within all our experiences. Sacred Yellowstone the life maker and/or life breaker, I wonder how many people comprehend the real scope of all your sacred medicine power filled gifts, or the uniqueness of your sacred heart’s enormous spirit? Do people understand, how much of an autocatalysis you can become and/or became in their lives, too, I fear not many, but if I ask, you, will they remember and answer? In Yellowstone, events seemly unrelated can connect, contribute to, and teach, unique truths, and awaken spiritual abilities by infusion of wondrous truths into individual total beings of life and spirit? Yes, hundreds may come to you and not experience or see anything of your sacred spirit or powers; while others, your embrace treats to fantastic autocatalytic life components full of interactive activities . . . and/or because of said experience connections; each awakens to his/her true life’s direction, via your extraordinary interventions. Once awaken, each one soon realizes his/her new direction, is the direction from which there can be . . . no turning back, for his/her total oneness is awaken and aware of his/her true direction once his/her sacred eternal spirit experiences its own atonement. Yellowstone, one of your miraculous skills is the gift to awaken spirits lost on multi-dimensions, across space without time, in addition to your unusual talent and presentation with unrelated, far-flung influential events. Dreams, visions, sensory explorations and many other adventures one assumes has no purpose and/or maybe something one choices not to experience again, but each individual soon realizes, they were not far-flung, painful or unrealistic, experiences, but each one is presented to actually influence ones involvement in his/her life for a lifetime, since Yellowstone can also be a great healer. It is important for all to realize you hold wonderful stimuli over this world, since you possess an amazing connection with all of life, which includes (among a few of the most powerful) Nature, Mother Earth, the Sacred Ones, and our sacred universe. Extraordinary, mysterious and magnificent are word that can only starts to profile how your wisdom and universal connection puts those you chose to embrace, in contact with essential, valuable, knowledge, at his/her time of necessity, with unique forms of communication, which influences, and awakens, past, present and future, awareness within your embraces. The sacred heart embrace, in truth, becomes many pebbles in ones water of life, inasmuch as, the sacred heart continues to reach out and touch many lives, in much the same way you have with me, throughout our continual connection and sacred journey together. Question, I ask only because I wonder, how many thousands upon thousands of lives have you embraced and supported, across space and our universe, unbeknownst to them. Nevertheless, most who visit you—Yellowstone the Sacred Heart of Mother Earth—assume you are nothing more than Yellowstone the National Park a place for a honeymoon, vacation, exploration, and on occasion a family reunion, and few have expectation beyond that, although some do consider you to have spiritual powers, but only a few, and a fewer still receive the pleasure of your sacred embrace, and spiritual guidance. Now if one ask the Ancients, Sacred Chiefs, Spiritual/Medicine Leaders and Grandmother M about the ancient secrets of Yellowstone the Sacred Heart of Mother Earth, and if they are willing to pass on such ancient knowledge, you might learn some amazing secrets. Moreover, if you are honorable enough you might be lucky enough to learn how to invoke the ancient connections. My sacred guardian and mentor, Grandmother M was one of only a handful Sacred Elders, to receive the ancient teachings regarding Yellowstone’s undeniable ancient secrets of her sacred spirit, her phenomenal connections, multi-dimensional communications, and universe to universal awareness, all of which across universal space reaching far beyond our time. Yellowstone and our Sacred Mother allowed many to observe and learn from their sacred teachings, in unique ways, but none should assume they know either, completely, because both are tricksters. The Sacred Heart has the ability to control the most sacred of energies, life forces, medicines and deal with powerful physics; which she uses to provide amazing concepts for the formation of new revised blueprints to one’s life meaning, while resetting objectives and instating subtle changes to ones way of life, in addition, to embracing others they might set the course corrections of some for humanities survival, which is also at stake. Grandmother M, one very sacred medicine woman, yes, a sacred saint, healer, teacher, guardian, guide and so much more, in addition to her very sacred spiritual abilities, ancient wisdom, with universal connections, she meant so much to so many, was on a mission to save my moral soul and eternal spirit, among other things. Millions of people considered her Saint M, Sacred Mother M, Sainted Mother M, Sacred Grandmother M, and a very powerful Sacred Guardian Mother M of the People, Sacred Spiritual Messenger and Guardian; to all she was one uniquely powerful medicine woman, with great healing powers and abilities. Her spirit is why the Sacred Spiritual Leaders and Medicine Elders decided to share so many ancient secrets with her. I have heard it said, the best way one can learn about a person is through the eyes of others, and I for one fully agree, this saying is true, not only for Yellowstone, but for Grandmother M, which I learned through the eyes of hundreds of people during our many journeys together, people needed to share their love of Grandmother M with me and others. Amazing too, how these connections involve sacred hearts and eyes of many guardians and spiritual guides, awareness of the spiritual life of nature and countless people, I began to learn numerous sacred truths full of wondrous knowledge few recognize and fewer appreciate. In truth, during our journeys together, with Yellowstone and Grandmother M, I soon awaken to one important truth . . . all of life is a vast learning experience. Yellowstone’s original embrace of a small child begins when Grandmother M’s prayers stimulates the Sacred Mothers who are Guardians of the People to honor her prayers. Next, the Sacred Mothers contacted the Sacred Ones, they all connected with our Sacred Mother Earth, and soon thereafter, and our first of many adventures together begins. The journey, which introduces the child to Yellowstone and Yellowstone to the child, begins with a world in national crisis, families in crisis, and a child’s identity and spiritual life moreover in universal style crisis, too. The strange combination of events is what necessities a family reunion, leaving no one to assume any hidden agendas. That is except Grandmother M who knows the secrets of what must remain hidden within the Sacred Ones secret agendas, which meant our attendance they require in Yellowstone the Sacred Heart of Mother Earth, who is the autocatalytic power source of universal abilities, influences, and wisdom, filled with components via interactive events to awaken and teach the ones embraced. Maybe in prior time Yellowstone embraced Grandmother M, and the reason she was fully aware of what might happen to Red Sun, and the only one aware of the autocatalysis components, (family relations, outside of indigenous native members, were and are real spiritually brain-dead and insensitive), to the contrary to what they wanted everyone to believe about them. Not and easy journey for one child only partway alive, lost and close to the edge of lost and of falling into the pit of the living lost souls, walking dead. From experience I speak, experiencing the sacred hearts direction depends on individual spiritual needs to insure successful life journeys, into sacred spiritual realms of awareness, filled with incalculable Autocatalysis Awakenings, and universal knowledge. Interesting, how an adventure with Yellowstone’s embrace begins a lifetime of unique traditional influences into a journey of enhanced spiritual knowledge and enlightenment. Many were trying to insure I lived my life out, walking among the walking dead, thus prevent me from fulfilling my prime directive and walk by life’s sacred path: Instead, Yellowstone and other sacred ones wanted to insure child and spirit awaken to and walk the sacred journey of one whose life will prove important to thousands upon thousands of lives. Yet, for the lack of child body in balance with to sacred spirit of Red Sun, how many thousands will perish needlessly? Reality’s truth, meant lost, without the embrace of Yellowstone, the support of Grandmother M and the Sacred Ones; thousands upon thousands of lives will perish and thousands more will be lost forever. A treasure of sacred wisdom, across space and time, Yellowstone embraces/embraced countless students for various reasons, this I know because she embraces one student from childhood across many decades and still today, we are in communication and connected with one another. The child lost without her spirit, is obvious to the fact neither can exists much longer without a complete reunion and rejoining to our current life form with eternal spirit . . . which in whole not in part is Red Sun. In truth, Grandmother M realizes the truth about the causes of our disconnection, and the problems that lay ahead if not completely connected. However, we both must desire this sacred life/spirit union, before we can reunite, and to ensure success Grandmother M realizes, Yellowstone will need to embrace her, the child lost and the eternal spirit, if Red Sun is to live. Unsure of the when the next attack might come, the eternal spirit felt both would be helpless, if another attack happens and they are but one. Yes, Yellowstone your embrace began the transformation of child living with, but separate, from spirit, into the spirit/child, but only after a number of adventures, which contains a series of Yellowstone’s secret formulas, calculated to transport, awaken, rescue and transform the lost into Red Sun, a spirit child, found. Awakening, both child and spirit to comprehend the value of togetherness, meant rational realization of our prime objectives and primary directive . . . Save the Children. Objective: make sure the children don’t perish needlessly; it meant we needed to die to live. I am glad Yellowstone, you and Grandmother M prove wish and loving enough to take us on the most sacred of spiritual journeys. A battle of child and spirit had been raging for some time, which required the joining of healing powers, knowledge, and skills, to battle that which sought to control and own both. 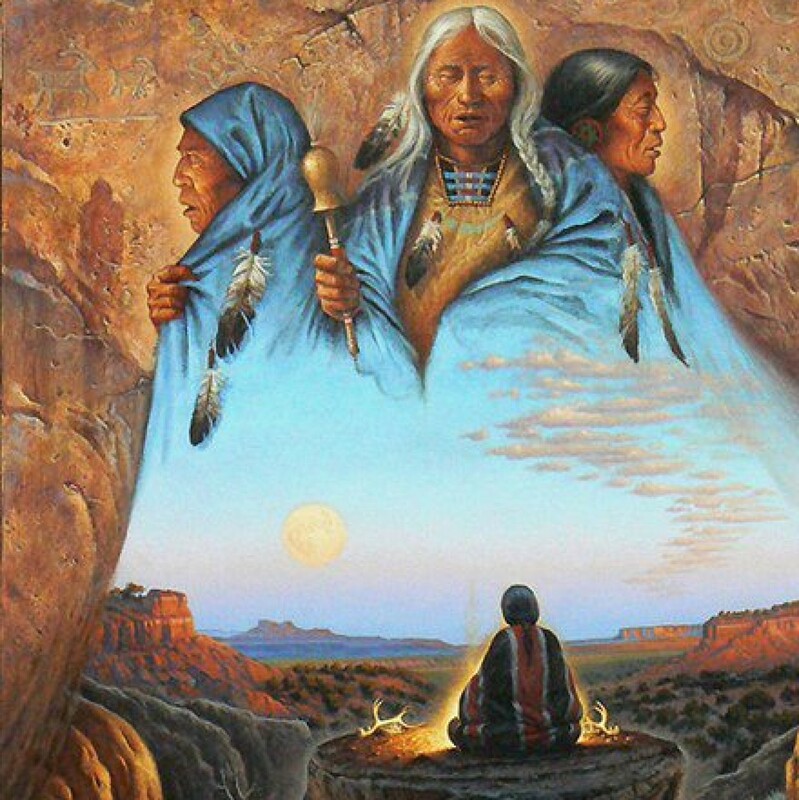 The combination of Sacred Elders with Yellowstone are what guides and makes spirit/child real life possible, when we see truths within, we realize and learn many spiritual values, awakenings lessons, and enlightenment, each taking us in the direction of the sacred light. Once within the sacred light, Yellowstone and the Sacred Ones reveal the ancient secrets of universal consciousness and our relationship: In truth, no amount of words could help one accomplish, what you accomplish wisely with your embrace. Hard to explain, for another to understand, how your embrace becomes the shooting star of vast recognition into one’s real spiritual life journey, and sacredness of purpose. Yellowstone of this I speak, I know because our introduction when I was only a small child. . . I am Red Sun, one who knows without your embrace filled with numerous inspirational presentations, life awakening experiences and spiritual connections. After which you present even more of your powerful unique autocatalytic energies with journeys in the sacred universe exploring sacred knowledge with various life-correcting adventures. We travel together, while you introduced me to parts of your infinities of accumulated knowledge and wisdom of the sagas, within your spiritual embrace. Why? What was involved in all the reasoning behind massive spiritual activities, extreme life comprehension changes, new energies, and strange rapid-fire events, all of which involved spiritual and physical analysis of every events and thought-form? Numerous energies I could not identify or comprehend began touching me in less than twenty minutes once the family car turned north for our journey to the Sacred Heart of Mother Earth. It was hard to understand why it was of the upmost importance, to accomplish r a total cleansing, before you would allow me to stand within and on your ground of your sacred heart. Truth, I cannot say or guesstimate, all that happened during the hours and days it took to travel to and arrive in your land, but I am glad Grandmother M realized, if one stand within the Sacred Heart of Mother Earth, and hold the child of her prayers within her heart, our distance in miles, is only a heartbeat of two across spiritual space, to the child in need of rescuing, again and again she saves me, once we connect in space, the purpose for the spiritual journey intensifies. Hard to understand why it is time to die, before you can live, if you are to accept your new birth in a sacred way. Strange how at first fear refused to accept or understand your intense touch, your power, actually unique journeys, or the necessity of spirit changes, neither Red Sun nor child in control, for a time I assumed the entire series of events was a booby-trap to kill me. The ancient knowledge you used to repair, awaken to reconnect one eternal spirit, rescue one child lost and save thousands of lives, for starters can be very overwhelming. Yellowstone, healings and recovery requires patience of mind, heart, and spirit to understand and absorb, information required to take anyone on their eternal spirit recovery and life awareness journey; however, at first I had no patience, or acceptance beyond fear and certainty of death. Sacred Heart of Mother Earth Yellowstone, what happened between you and I (Red Sun) validated, to those involved, you’re a major majestic power source of spiritual energy, universal knowledge and brilliant lessons, which demonstrates Yellowstone a powerful and sacred life, which has proven she is one of the most noteworthy autocatalysis instrument with infinite talents, and abilities, in addition to one of the Sacred Ones and Mother Earth’s, sacred children. The instrument Grandmother M realizes holds the skills and answers to reverse and reset knowledge to validate the total being of Red Sun via purification, decontamination, revaluation, redirection, reconnection, and spiritual conditioning into her sacred spiritual life journey. Life journey to cast off the unwanted begins with direction and guidance from the Sacred Mothers, Grandmother M, Mother Earth, and the Sacred Ones, which requires Yellowstone to intensify with her Sacred Heart. Yellowstone, we acknowledge your awareness of infinite universal truths. Incredible how you can carry (your children and students) each one beyond imagination, beyond awakening windows, beyond doorways into the next universe and beyond ones current present, traversing time in space and space travel refracting time forward and backwards; to reveal ones possible present and future if one travels the wrong path. The Sacred Ones reveal yin-yang paths in spiritual context of the four-directions, coupled with pieces of present and future, all the while visiting conditions, which allows one to accept life in full from his/her out of balance or his/her sacred in-balance life path. Some of the visions show the time has come to know which life style he/she want to feed and a time to face one’s self within. Sacred Yellowstone comes an allow one to experience living visions, within spiritual connections, on perplexing journeys to discover sacred truths, regarding one’s life journey. Across time, no we travel across segments of life achievements and objectives; each one outlines the way each individual travels across his/her spiritual universe, which is in spiritual space considering individual life’s journey is not marked in hours, days, weeks, months or years only accomplishments. Yes, within Yellowstone’s powerful embrace she delivers life’s sacred truths, which leads to life’s turning point for the accomplishment of his/her sacred life achievement, objectives, and journeys. Cause and affects are true autocatalysis components: once orientation solidifies, within the spirit heart of those you embrace and connect with and all of . . . slowly comes to realize he/she are different individuals. Nevertheless, because of conditions in opposition . . . during a journey of three and three-forth days, Red Sun of three cycles and three seasons, faced her dilemma of getting there alive; dealing with forces opposed, to survival, inner-personal struggles, spiritual battles, and strange conditions besieging, the child’s entire journey, combined with some type of a cocoon; before you could embrace and help Red Sun discover and rediscover, Red Sun. Interesting, how the road trip took the same amount of days and hours equal to cycle and seasons old. Many questions seek answers and throughout the entire journey, I continue to wonder was it a coincidence or some massive spirit battle. It truth, it was the most terrorizing top five rides, I have ever been through and not sure from minute-to-minute what might or will happen next, and yes death was standing with me, too. Heart, mind and body questions why so much really needed dealt with during the road trip. Who was involved before our encounter or was it the beginning of our embrace, and universal and spiritual encounter. Not knowing the Sacred Heart of Mother Earth or the unique powers of Yellowstone, only fear filled with uncertainty and extreme loses. Could it have been certain parts of the sacred embrace, which began with observations of family environments before the journey began, I do agree you had you work cut out for you to pull together an out of control environment, lost child in chaotic conditions. At the beginning of the journey, I realized something happened, to this child with a strange name, learning a different language that did not fit, but I was unsure of why I felt this way. How to reawaken the various parts of Red Suns to their sacred eternal spirit, true character identity, and insure their valuable reconnection with and to her correct traditional, cultural, life environment connections, and spiritual life awareness; which and where are the energies that can empower Red Sun, to travel in the direction of truth and indescribable adventures, but the support the of many crucial adventures, necessitates spiritual assistance and sacred medicine ways, to even insure the arrival of child and spirit alive within the Sacred Spirit of Yellowstone. So many years later, I wonder how many years, it would have taken to provide the essentials for a good strong spiritual foundation; reset Red Sun’s sacred Indigenous Native awareness, without your embrace to awaken Red Sun to her eternal spirit. The physical form of a child lived, but without realization of who and what the real Red Sun, returned here to accomplish. Would I have been able to gain the insight to recognize and remember sacred truths, and awaken to Red Sun’s traditional biological life; which only happens if/when the sacred spirit of Red Sun can see the light? However, the child had gotten lost in darkness, because of the violence and continual abuse, when in Elinora’s care by Elinora’s hands and words, and spells. I do acknowledge . . . we are still connected in some unique ways, this I know because on many occasions, my spiritual being responses to your call and our sacred heart touch . . . Truth from within my sacred spirit heart . . . I have come to realize no imagination can prepare any individual for your incremental teasing and unique interactive autocatalytic orientations planned to help individuals absorb vital knowledge: Your interventions you fill with intend to alter one’s life course; which means the only warning I can give the individual(s) you embrace, hold tight on to your roller coaster ride, full of uniquely intense turbulence. . . . What a way to say by the way at the end of the ride . . . welcome to your new life. You are not going to know which side of life you are on while Yellowstone creates and/or re-creates you anew, through many new sets of unique life components, this I know because Yellowstone let me experience her specially designed roller coaster ride, via sacred spiritual connection and unique communications. Some will say they experience a total rebirth through Yellowstone’s embrace. Now that you know a little about Yellowstone, what could become of Red Sun, once reawakened, and Grandmother M, the most beloved, respected, sacred, saintly medicine woman? . . . Maybe it is time to take you along on what happened during these mysterious spiritual journeys, and other strange events. The life altering events that contributed to the child’s awakening and some of the contributing factor, which lead to increase spiritual support, gathering knowledge, and learning sacred spiritual ways, in addition to different types of traditional medicine and physics. Thanks to the sacred support, from Grandmother M, countless guardians, sacred elders, and yes, massive spiritual energy, I survived, but maybe not certain persons wanted or expected.